“When it seemed that nothing could stay the devastation, great flocks of gulls appeared, filling the air with their white wings and plaintive cries, and settled down upon the half-ruined fields. All day long they gorged themselves, and when full, disgorged and feasted again, the white gulls upon the black crickets, hosts of heaven and hell contending, until the pests were vanquished and the people were saved.” Orson F. Whitney, June 6th 1848. 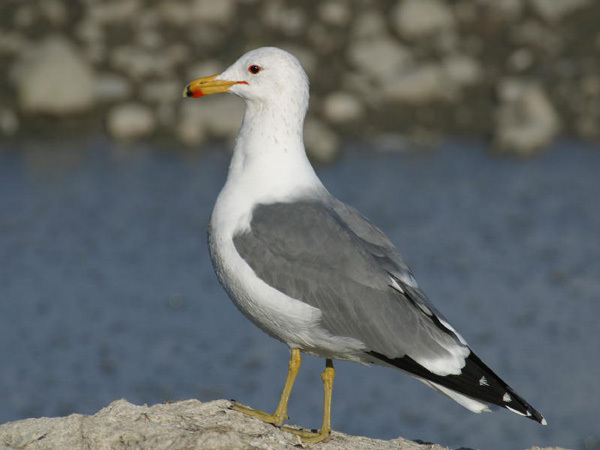 Over a century later, the California gull, was selected as the state bird of Utah and a gull monument placed on Temple Square in SLC. My first serious encounter with this bird occurred in the mudflats of the Ogden Bay Bird Refuge. On a date with my 3 young children and a lovely lady whom I later betrothed, we walked several hundred yards to a small island consisting of an outcrop of mica schist. As we approached, a white cloud of screaming gulls arose. We soon discovered the island to be covered with nests of young and eggs. Mesmerized by this remarkable display of turmoil and alarm, the gulls went on the attack by releasing offal from both anterior and posterior ports. The gulls won the day with our rapid retreat. I’ve had many gull experiences since: being attacked by mew gulls in Alaska, who also attacked bald eagles that strayed into their territories; witnessing Franklin gulls returning to Utah landfills with a pink glow from gorging on brine shrimp; watching with amazement as western gulls opening clams and mussels by shattering them on rocks while backpacking on the Washington coast. I’ve come to respect North America’s 28 species of gulls as graceful, intelligent, and skillful seabirds. The following gull trivia may win a few more admirers. Gulls are monogamous creatures that mate for life and rarely divorce. As parents, they are attentive and caring, both involved in incubating the eggs as well as feeding and protecting the chicks until fledged. They also teach their young creative methods of hunting, showing the intelligent ability to pass skills to others. They are one of the few species of seabirds that can survive drinking salt water, enabling them to venture far out to sea in search of food when necessary. This is made possible by a special pair of glands just above the eyes that flush the salt from their system out through their nostrils. They are expert fliers, having mastered control of wind and thermals, sharp directional changes, climbs and dives. They have developed many clever ways of stealing the catch of other seabirds using their flying skills to pluck fish from birds in flight, or fascinating maneuvers to pester them until they drop the food which the gull will catch before it hits the water. So how is our state bird predicted to weather a shifting climate? Unfortunately not well, losing 98% of its summer range and 72% of winter range by 2080. Until then, I will continue to marvel at the great flocks following the plow turning up fresh earth and the hidden banquet they relish. 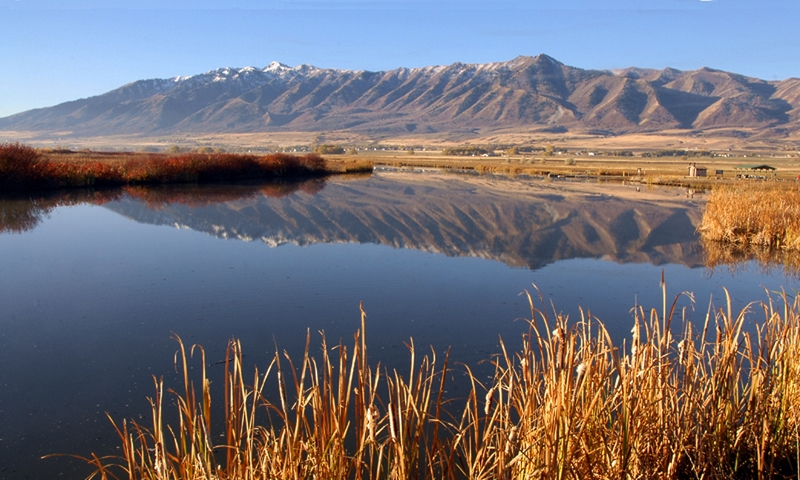 This is Jack Greene and I’m utterly wild about Utah! When I was a young lad being called “bird brain” was an indication that one was lacking in mental capacity. Over the years I’ve come to question this connotation, and might even consider it a compliment. I suggest that quantity of this gray matter might be outweighed by quality. 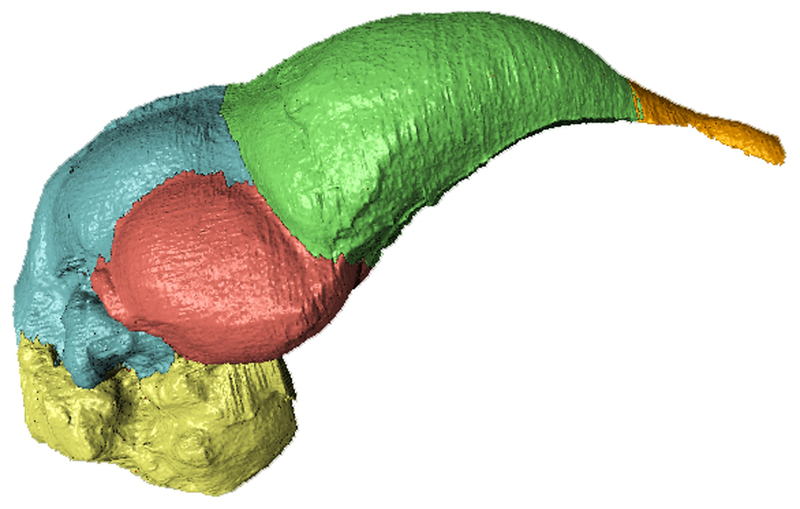 Consider the hummingbird brain. Slightly larger than a bibi, it is very capable of feats beyond our imagining. Think unerring migration over hundreds of miles, efficient pollination while suspended in air, extraordinary flight capability, adjusting to extreme environmental challenges of cold, heat, predation, nourishment; exquisite nest design and construction, and so on. Regarding memory, nothing has been found to match the recall ability of the Clark’s nutcracker, which can bury thousands of pine nuts in rugged mountain terrain, finding them with uncanny ability following months of absence. Of course they hoard far more than needed, allowing many to germinate into seedlings- an amazing keystone species responsible for planting millions of trees from Mexico to Canada – this “squirrel bird” of the Rockies. I’ve watched crows dropping nuts on roadways so they can be crushed open by passing vehicles, then flying down to eat the contents between oncoming traffic. And gulls dropping rocks on our pets to shoo them away from food dishes so they can have their turn at the table. An ice fisherman was puzzled by a thief who was stealing his fish by pulling the line out of the ice hole and removing the fish. The culprit was finally observed- a raven- who used its beak and feet to gradually pull up the line with fish attached- an easy catch! How about those mimics- parrots, corvids, starlings, gray catbirds, and the masterful mocking bird who can expand their repertoire of mimics to nearly 100 imitations without a pause. And let us consider the remarkable Peregrine falcon. How is it possible that this lovely bird can strike a fast moving, highly maneuverable target as it drops from the heavens at a speed approaching 200 mph? Eyes, muscles, and nerves woven in such a manner that allow it to perform this feat is beyond comprehension. I’ll conclude with perhaps my favorite bird attribute- their vocalizations. The more scientists learn, the richer their communications appear, possessing qualities once ascribed solely to the human language. 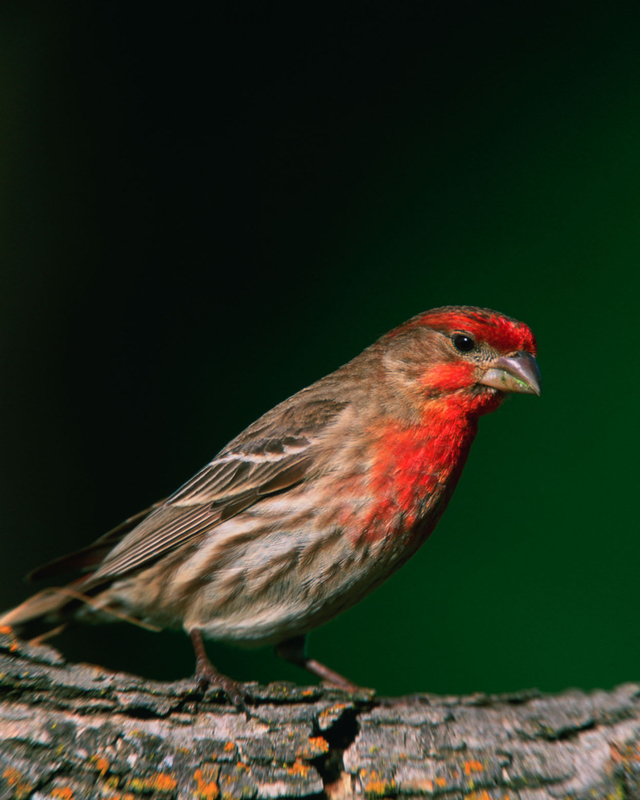 Recent research has revealed that birds use syntax, which is altering the sequence of notes for variable meanings. Call order matters to them, much like word order does to us. The sound of birds calling isn’t just pretty. It’s full of meaning. I dare you to call me bird brain! Love is in the air! While shoveling snow, it seems a bit ludicrous to say “spring has arrived”, but here it is! I first noticed it 3 weeks ago when a burst of house finch tumbling notes filled the vapors. That was followed by a robin dusting of some rusty phrases which will soon be heard across the mid-latitudes of N. America. What is one to think of such outrageous behavior as the snow continues to fall and the thermometer dips well below freezing? In one word-testosterone! This magical chemical is surging once again entirely dependent on the ratio of daylight to dark which has changed to such a degree that life helplessly submits to the urge for love. Even plants are getting in the mood due to hormonal change in response to increasing length of daylight. If I were still teaching science at Logan High we would be tapping a spile into a box elder tree to catch the dripping sap and boil down on the Bunsen burner to delicious maple syrup. When we began this activity 32 years ago March was the month. It gradually changed to mid-February as the winter season shortened. I’m guessing the tiny pink flower of stork’s bill geranium and yellow of biscuit root is already blooming beneath the snow on south facing slopes. 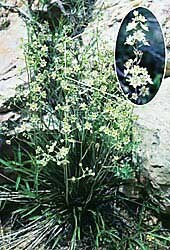 Death camas leaves are beginning to poke through moist soil. Snow geese and tundra swans are beginning to populate our open waters with sandhill cranes and many other species of waterfowl soon to follow. In the heavens you may see golden eagles performing their talon locked tumbling courtship death plunge, and paired ravens cavorting in mid-air. 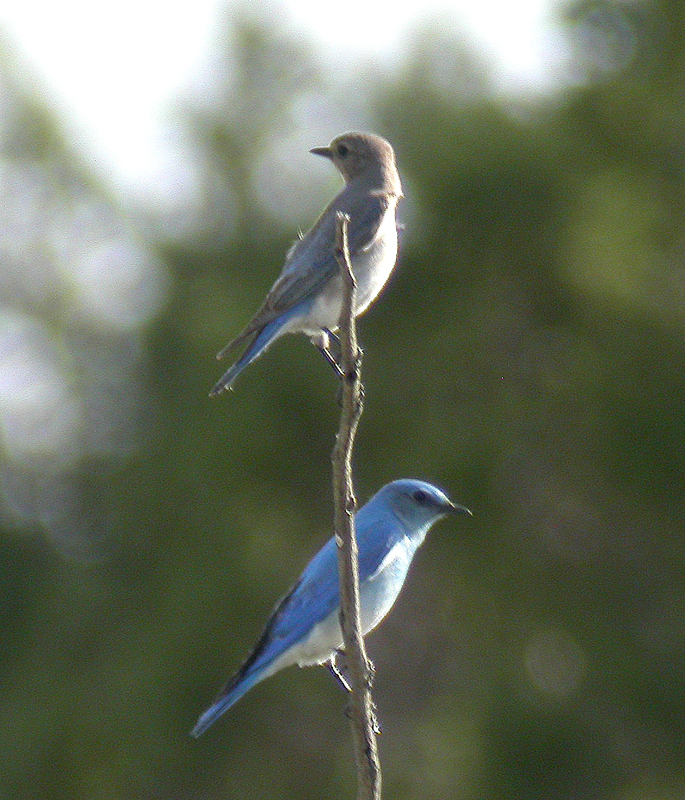 Outrageously beautiful Mountain bluebirds begin decorating fence posts in the countryside. Clark’s nutcrackers are beginning their migration to ridgetops for nesting activities. Great horned owls present a special case. Their hoots reached a fevered pitch during their January courtship period. Nesting begins in February but no nest building needed. They take the easy out by occupying other raptor nests, especially red tail hawks, crows, or a handy ledge. They are fierce defenders of their young and have caused injure to clueless humans who approach to near. The family unit will remain together into the fall season. Coyotes and fox are in full courtship mode showing overt affection. Parents of both of these wily canids help with den preparation and rearing pups born a few months later. Both are common in native legends for the cunning and trickery. “If the day should ever come when one may camp and hear not a note of the coyotes joyous stirring song, I hope that I shall long before have passed away, gone over the Great Divide.” Earnest T. Seton, American naturalist, author, activist and father of the Rocky Mountain N.P. 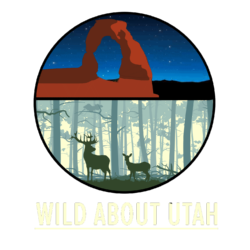 This is Jack Greene and I’m Wild about Wild Utah! Skiing a few miles into a lovely northern Utah canyon in frigid, single digit temperatures I was startled by an abrasive sound rolling down slope from a thick cover of conifers. A Clark’s nutcracker! My spirits were warmed by several degrees. Lewis and Clark have left their names on many plants and animals in our western mountains. 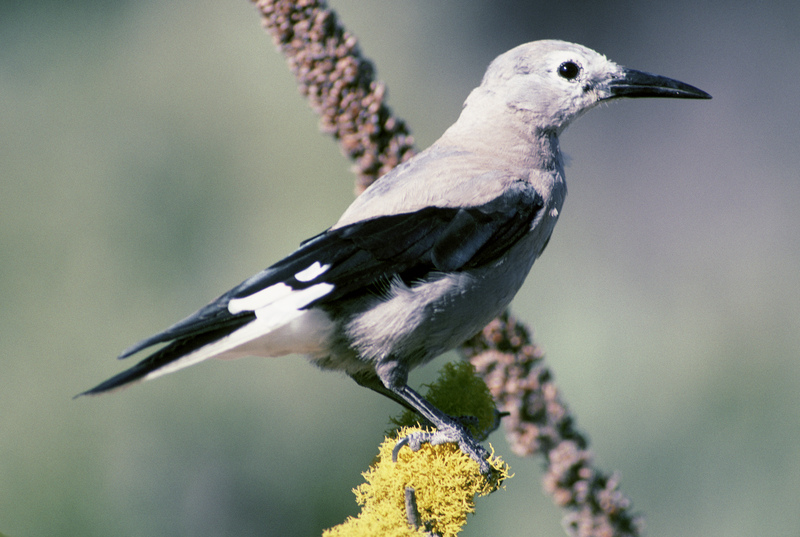 The Clark’s Nutcracker, a member of the jay family, has a long list of special attributes well beyond the norm. This “forester bird” has planted countless millions of trees from Canada to Mexico, provided food for many other critters including the mighty grizzly bear, and has amazed animal behaviorists with their uncanny recall ability. Nutcrackers often bury their seeds at the perfect depth for germination. They bury pine seeds in hidden caches in fall, then re-find them during winter, allowing them to nest in late winter, when the forest is still covered with snow. 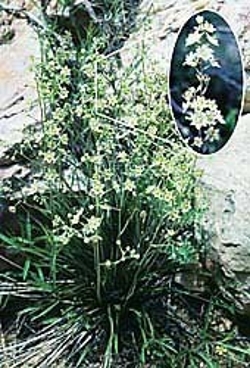 They bury clusters of four or five seeds per location caching up to 500 seeds per hour. They often hide seeds near the base of tree trunks, a tendency that may play an important role in their spatial memory system. Landmarks help nutcrackers remember the precise locations of caches. By the end of the fall, each nutcracker has stashed tens of thousands of seeds. Clark’s spend so much time hacking apart pinecones that sticky resin sometimes dyes their grey feathers a reddish-purple color. But the prize is worth the effort: Pine seeds are a nutritious food, packed with fats, proteins, and carbs. Crucially, the birds will hide seeds as far as 20 miles away from their source trees. 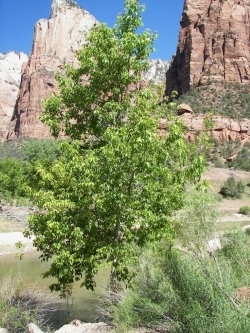 In doing so, they help trees expand their territory into new areas. As development continues to fragment forests and climate change demands rapid migration, “animals that move between patches of habitat are increasing in importance. Other feeding habits include catches flying insects in the air, digging insect larvae out of wood, eating berries, insects, snails, eggs, carrion, and even young of other birds, which I observed directly near White Pine Lake in the Bear River range. Knowing them as a seed eater, I stunned to watch as a mixed flock of forest birds mobbed the Clarks who had a youngster in its beak it had plucked from its nest. Nutcrackers have an especially close relationship with the whitebark pine. Unlike other pines, whitebark seeds don’t have “wings” that let them ride gusts of wind across the landscape. Instead, the seeds and cones seem optimized for a nutcracker’s bill, and as such, the trees rely on the birds’ forgetfulness to reproduce. It’s possible that the birds could play a part in helping the whitebark pine recover. Human foresters are now studying how to attract Clark’s Nutcrackers to aid in forest restoration. Climate change is forecast by Audubon’s climate model to decrease winter and summer range by roughly equal amounts—around 70 percent by 2080. Tied as this species is to the high western coniferous forests, it seems unlikely it will be able to adapt to any new shifting climate space, as is true with another favorite subalpine resident- the pica, a miniature member of the rabbit family.